Look out for the posters for this popular funfair. 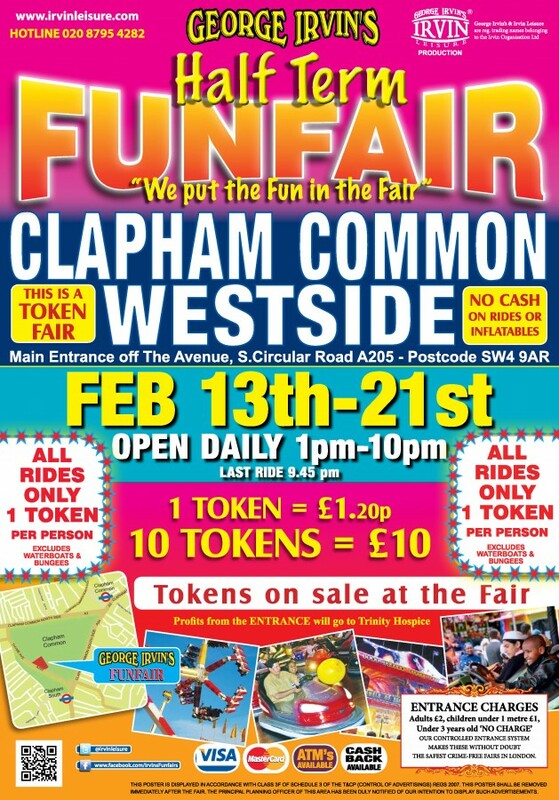 Tokens are available every day at just £ 1.20 each or ten for a tenner as this is a token fair. Main Entrance off The Avenue, South Circular Road A205. NOTICE: Entrance charge of £2 per person over 1m tall, children under 1m £1. No charge for under 3yrs. Profits from the entrance fee go to Trinity Hospice.